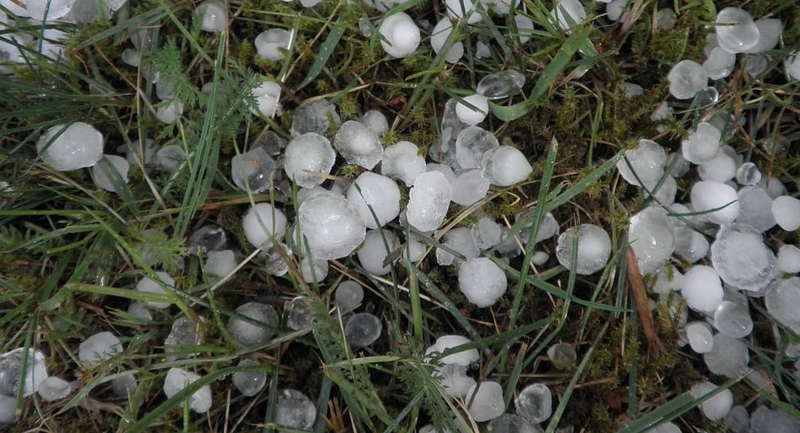 This French poem puts a positive twist on hail – an incredible phenomenon if you ask me! Listen to my clear recording and watch the video of my 9 years old daughter who learned this poem in school. Mais on sait bien que c’est pour rire. Le ciel écume de rayons. Si longuement qu’il les fait luire. On oublie les premiers bourdons. But we know it’s a joke. The sky foams with rays. For long it makes them shine. But we know that it’s a joke. We forget the first bumblebees. This poem has a rhythm in 8 feet (sort of poetic syllables), so to respect it, you should pronounce letters that are usually silent (like a final E) and do liaisons we wouldn’t do when we speak. In this poem, the rhymes in “ire” are short, so in the “ir” sound, the r is soft, finishing the “i” sound, and therefore counting for one syllable, not “irE” or a strong “irr” that would count for 2 (like the “ore” in the word “encore” in the poem). Mais Zon sait bien que c’est pour rir(e). Le ciel éc-um-E de ray-ons. Si lon-gue-ment qu’il les fait luir(e). On Noub-lie les pre-miers bour-dons.